While fleet models are usually frowned upon by the automotive press, car companies still rely on fleet sales to help push profit. One of the most profitable fleet markets, is law enforcement. Law enforcement depends on automakers to create vehicles that are easy to upfit, inexpensive to maintain, safe and comfortable to work out of. Each of the American big-three automakers have a different outlook on the market. Chevrolet has the market on law enforcement when it comes to full-size SUVs with the Tahoe PPV (Police Pursuit Vehicle), Ford has their Police Interceptor Utility (Explorer) and Dodge has their Charger Pursuit are the dominant vehicles in their segments. However, all three of the big three currently sell pickups to law enforcement. Late last year, Ford introduced their new 2018 Ford F-150 Police Responder which Ford is claiming is the first pickup to ever carry a pursuit rating. Currently, there are no set requirements to make a vehicle “pursuit” rated. Pursuit rated is just opened ended term to mean that the vehicle could do duty safely in a police pursuit. Most of these vehicles have upgraded brakes, bigger alternators, more efficient cooling systems and heavier duty suspension. Currently, the Ram brand has the 2018 Ram 1500 SSV (Special Service Vehicle) as an option for law enforcement to purchase. The vehicle is a 2018 Ram 1500 Tradesman Crew Cab 4×4 with the 5’7” box option. What the SSV packages adds to the truck is the 5.7L HEMI V8, 6-speed automatic transmission, 220-amp alternator, cloth bucket front seats, rear vinyl bench seat, heavy duty engine cooler, an additional key fob, remote keyless entry, color keyed instrument-panel, special certified instrument-panel cluster, fixed rear window with defrost and auxiliary switches. 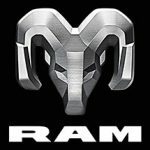 5thGenRams.com is hearing from inside sources, that the Ram brand is working on developing a new Ram police package for the 2020 model year. This package is quite like the current package. However, we do hear some very interesting things that might make this truck carry an optional pursuit rating. What we are hearing is the truck will carry one powertrain. This is the 5.7L HEMI V8 without the optional eTorque system. For the first time ever, the trucks sound like they will be going with the 8-speed automatic and dash mounted rotary shifter. The big news is on the “Pursuit” rated Ram 1500, is that they will integrate the optional 12.1-inch Uconnect system from the higher model Laramie, Longhorn and Limited trims into an optional package for the Ram Pursuit. This system will be integrated with current software that is used in the Charger Pursuit. This will eliminate the need for a bulky laptop unit over the center console area of the truck and can be used even with the use of gloves. This also means that the Charger Pursuit’s “Officer Protection Package” which warns an officer when someone is coming up behind the vehicle or possible to ambush them can be offered as well. The Officer Protection Package is designed to increase an officer’s situational awareness when parked and working inside the vehicle. The package uses the Charger Pursuit’s ParkSense rear park assist system and ParkView rear backup camera to alert an officer if anyone is behind the vehicle. The InterMotive module is installed by simply plugging it into the Charger Pursuit OBDII port and securing the module under the dash. The Aux 1 button will activate the system. Anytime the Officer Protection Package is active; the reverse sensors will be turned on. If any of the sensors are tripped while the system is active, a chime will sound to alert the officer that a sensor has been tripped. The officer can immediately observe what is behind the vehicle via the camera display. At the same time, all the doors will be locked, the front windows will roll up and the tail lights will flash. With the all-new 2019 Ram 1500 already offering the largest front brakes in segment at 14.9 inches and a new electric parking brake, it will be interesting to see if and how Ram updates the brakes for “Pursuit” duty. Like the current SSV model, we hear that the 2020 Ram law enforcement trucks will still have the availability of the optional Ram Box storage compartments. Ram Box offers officers to store items like reports, emergency kits, fire extinguisher, evidence bags, field test kits and it can even carry extra rifle(s) or shotgun(s). Ram Box can be locked and unlocked with the key fob now, making it even easier for officers to get their gear faster. As the law enforcement fleet market steers more towards crossovers, SUVs and trucks; Ram is looking to make the all-new Ram 1500 even more appealing to all law enforcement agencies. This article was just posted to our main page, we extend a big thanks to @redriderbob for his work on this as well as his insight. There is a good market for law enforcement market for pickups. The big-three all have trucks already for sale to law agencies. Sheriff's departments, Department of Natural Resources, Border Patrol and other agencies like using pickups, and as the market gets away from sedans it makes sense to go after the market harder.